The application of cationic liposome reagents has advanced DNA and RNA transfection research in vitro, and data are accumulating that show their utility for in vitro and in vivo gene transfer. 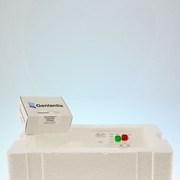 In order to increase the utility and spread of transfection reagents and techniques, Genlantis is always looking for and developing complementary reagents and solutions that simplify and/or enhance the use of transfection reagents in the laboratory. BoosterExpress�, for example, provides a set of chemical cocktails that increase gene expression levels post transfection. 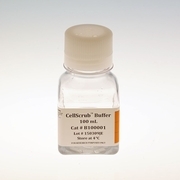 The CellScrub� Buffer, on the other hand, is a unique non-toxic washing reagent that removes all cationic lipid/DNA complexes associated with cell surfaces after transfection.